Last Tuesday I wrote a post entitled, “Just in case you need another reason…“. My post was another small plug for indexing. Why do I often plug indexing? Because indexing is VITAL to genealogy. And if I talk about it a lot, maybe it will inspire others to participate. That day, two VERY cool things happened. “Just did my first batch! I have a whole new respect for the indexers. I had one first name that was a pure guess on my part! Very interesting and very sad. Lots of children. People died of worms? Live and learn! I write a simple little blog post about indexing and suddenly the world has one new indexer. I was feeling pretty happy about the whole thing. Holy cow Elaine! I am so impressed. And so grateful. That is 6,000 records that are now searchable online. 6,000 records that just might include some of the ones I have found lately. 6,000 records that help people like you and me make connections with our beloved ancestors. I am deeply humbled that something I wrote inspired these two women to join the noble ranks of Indexers. 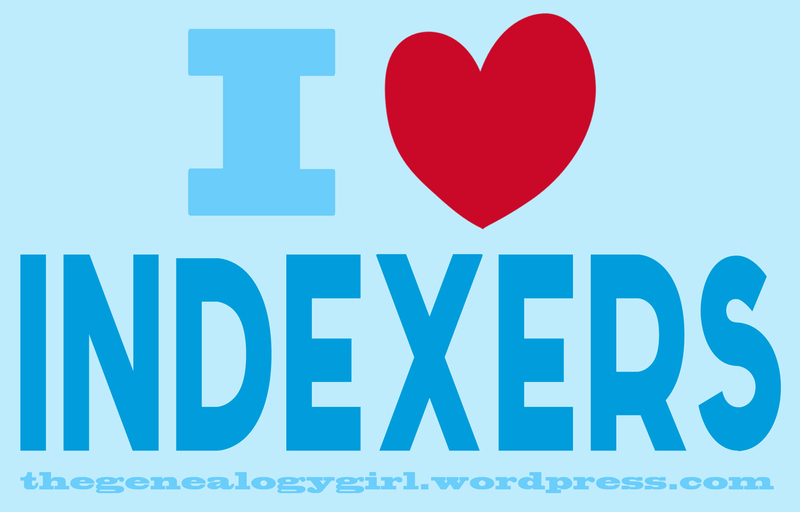 In case you didn’t know – I think Indexers are Genealogy Superheroes. And thank you for introducing me to this and for giving me the opportunity to give back to the genealogy community. It’s an honor! 6000 records is nothing compared to some of the indexers I have the privledge to be associated with on Share Batch Indexing, ETC. They are my superstars! Well, I’m still mightily impressed with your 6,000!